The arc lamp redefined elegance when it came on the scene. An impossibly slender arm (or arms, depending on the style) rises from a weighted base into the sky. The style electrified interiors—and still adds James Bond-levels of cool to a room—but it’s practical too, spreading task lighting across a seating area. The optimism of the mid-century era led to this three-legged lamp: It looks precarious, but the pin-thin legs are deceptively sturdy. The three-legged style took off for both floor and table lamps and popularized another contemporary standard: the drum shade. 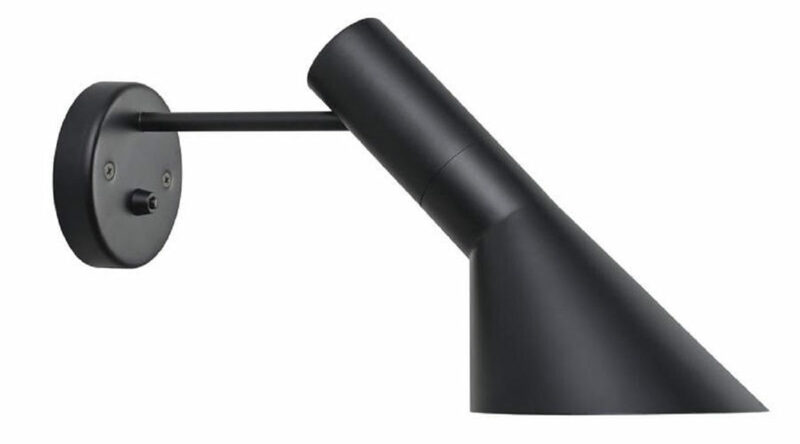 Its ample size balances the wide stance of the base and is the go-to way to update more traditional lamps, too. Nelson designed a collection of pendant lights using polymer, a relatively new material at the time. He stretched the soft material over steel frames to create the ribbing that became his signature (now it’s so iconic that the lamp is part of New York’s Museum of Modern Art’s permanent collection). The saucer style took off, possibly because of the exploding interest in all things space, including UFOs. 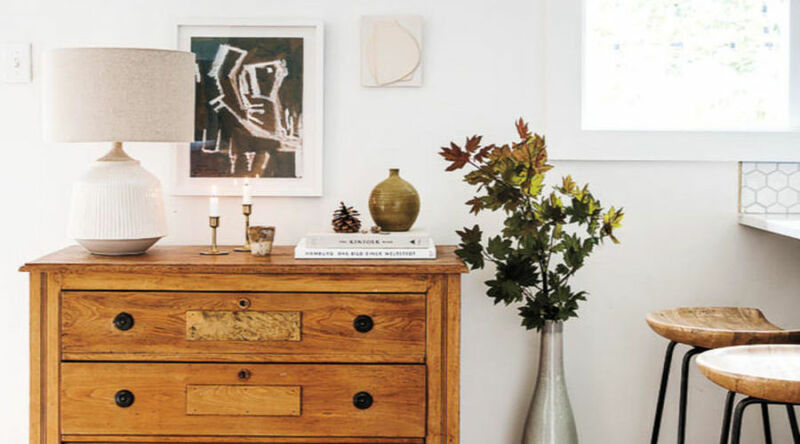 In your home, it will spread a diffused light while on; off, it’s like sculpture. Wood veneer has been around since the Stuarts reigned in England. (That’s the 17th century in case your history class has faded into memory.) 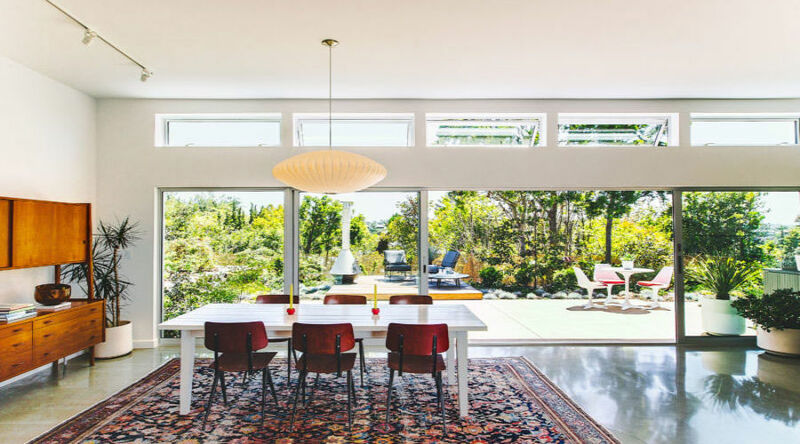 But it wasn’t until mid-century modern designers began bending and twisting it into groovy shapes that it became a staple of contemporary high-end design. It still stands as one of the easiest ways to take the chill off a modern interior or freshen a traditional one. 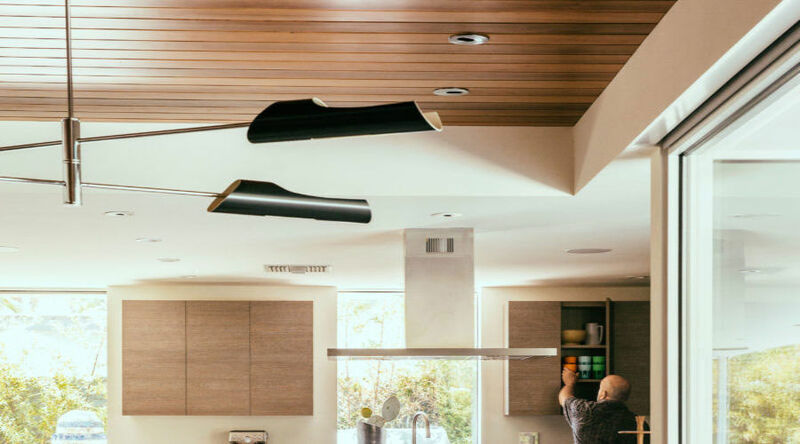 This high-wire act shows off an obsession with function: The joints and bulbs aren’t hidden by decorative elements or shades, but rather, they are the decoration. The result is the antithesis of the fussy crystal chandeliers that reigned at the turn of the 20th century. On the practical side, the strength of the architecture allows for far-reaching illumination without much visual weight. 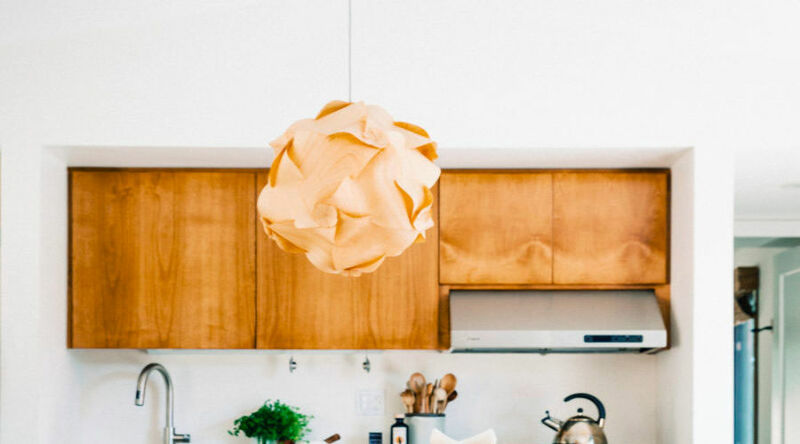 Globe lights weren’t new in the 1950s, but they took center stage as designers, especially Italian ones, turned to familiar geometrical shapes to create simple but stunning lighting. Vintage models are often cupped in brass. 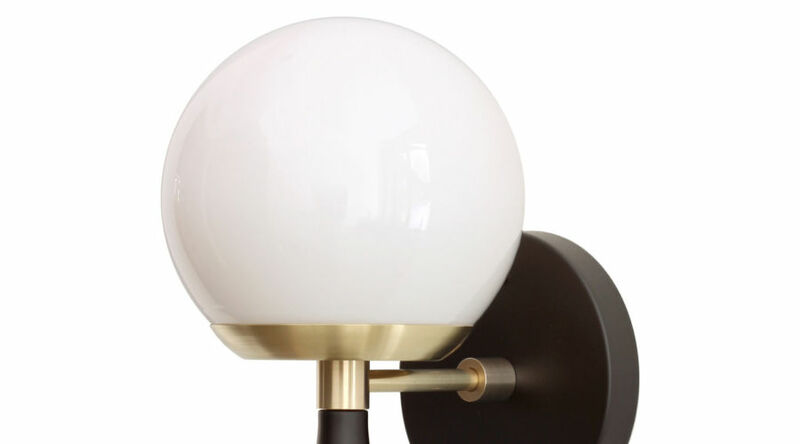 This modern-day sconce by Cedar & Moss nods to that with brass detailing on the globe and the conical stem. This era saw the rise of the unexpected detail added to a classic shape: ribbed or etched surfaces, fantastic colors or mixed materials, and plays on the familiar gourd silhouette. No matter what’s happening on the base, a drum shade is still the most stylish way to top a gourd lamp—and the gourd lamp still goes with anything. 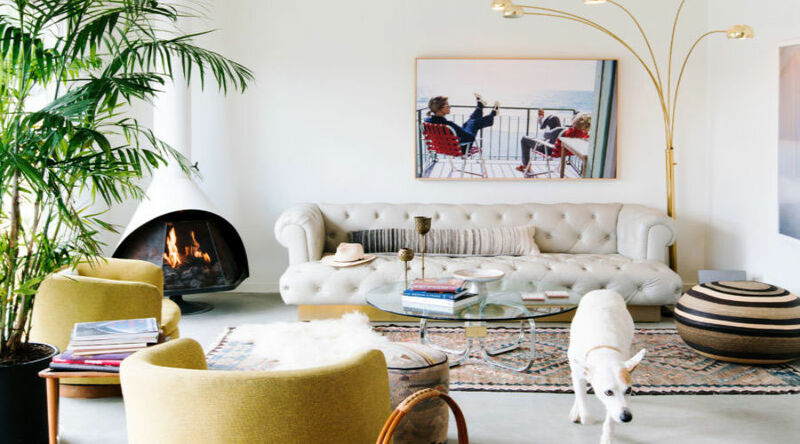 Find fresh takes inspired by mid-century modern models at Caravan Pacific. Have design and science ever been as closely linked as they were in the mid-20th century? That’s when the world’s obsession with the atom led to chandelier styles where the streamlined shades extend out in straight lines from a “nucleus,” mimicking our understanding of electrons in orbit. 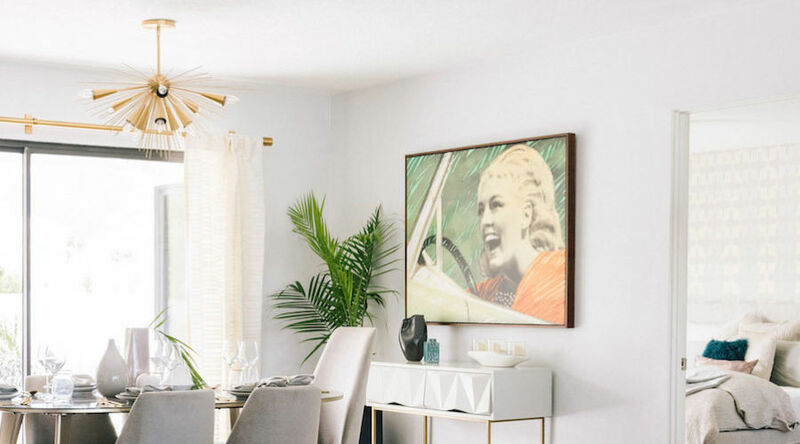 The look is masculine chic, and getting one for your dining room is a no-brainer. 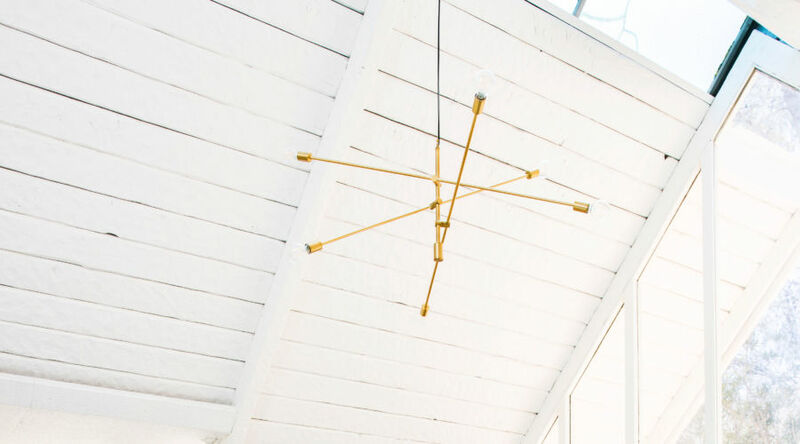 The launch of the Sputnik satellite in 1957 started the space race and inspired a design trend that lives on even today. This iconic pendant rose to the top of the pile (though we wish Sputnik earrings would also make their way back around) and is still a favorite of designers and DIY-ers alike. 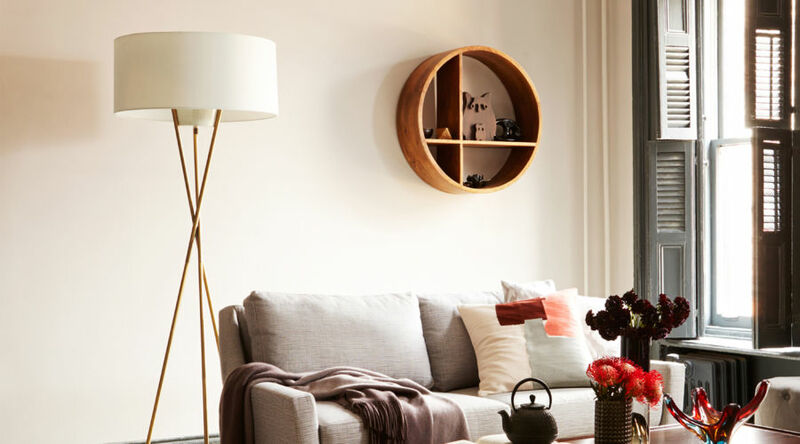 Many versions orbit the design world, but all share the mid-century style’s signature bare bulbs and arms that extend in every direction, creating a spherical fixture that adds tension—the good kind—to any room. So many of our mid-century modern favorites hail from Denmark, and this angular sconce is no different. It’s inspired by the version that Arne Jacobsen (of the ubiquitous plywood chair and the more rarified Egg chair) designed for SAS Royal Hotel in Copenhagen. The mark of its genius is that it is just at home in a bungalow or condo, too.